Data management solutions meet at the intersection of big data and business analytics. The data management market offers a broad spectrum of capabilities used to analyze data from disparate and increasingly diverse sources. Traditional data warehousing techniques are slowly being phased out with the adoption of data lakes, and cloud connectivity has emerged as a differentiating factor in a growing number of deployments. As regulations grow stricter and compliance frameworks become more common, organizations will grow increasingly interested in dedicated data management tools, ensuring that they are keeping their data in a way that safeguards it from internal and external threats. Perhaps the most important use case for data management in the next five years will be Europe’s new General Data Protection Regulation (GDPR). 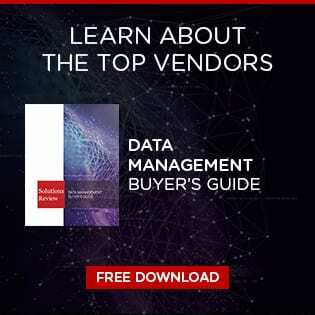 In an attempt to assist you with what can become a daunting task of selecting the right product, these are the top-28 best data management platforms for 2019. 1010data is based in New York and provides integrated capabilities for database management and data analytics. The company’s flagship product, 1010edge, also features data modeling and visualization, reporting, and application development. 1010 brings disparate data together to provide a granular view, and the solution scales to any size. In addition, the tool’s columnar data storage capabilities present data in an orderly fashion. 1010data has raised $35 million in venture capital since its founding in 2000. For an even deeper breakdown of the best data management tools, consult our vendor comparison map. Amazon Web Services (AWS) offers Amazon Redshift, a fully managed, petabyte-scale data warehouse that analyzes data using an organization’s existing analytic software. Redshift’s data warehouse architecture allows users to automate common administrative tasks associated with provisioning, configuring, and monitoring cloud data warehousing. Backups to Amazon S3 are continuous, incremental and automatic. Redshift also includes Redshift Spectrum, allowing users to directly run SQL queries against large volumes of unstructured data without loading or transforming. Ataccama is a master and reference data management provider based in Toronto, Canada. The company’s flagship product is Ataccama ONE, a tool that features data profiling and cataloging, data quality and governance, and master data management capabilities. The solution offers a machine learning-centric user interface, as well as a data processing engine that is responsible for data transformations, evaluating business rules, and matching and merging rules. The platform supports any data, domain, and a variety of integrations. Commvault is well-known in the backup and disaster recovery marketplace, performing as one of the top solution providers. The company also offers a cloud data management product that allows organizations to manage data via on-prem and cloud deployments. Users can fully manage data across files, applications, databases, hypervisors, and clouds (including Amazon Web Services, Microsoft Azure, Google Cloud, and Oracle Cloud). The tool also includes Commvault’s popular backup and disaster recovery, as well as e-discovery, capabilities. Commvault is publicly traded and based in New Jersey. EnterWorks is a master data management (MDM) and product information management solution provider headquartered in Sterling, Virginia. The company’s main offering is EnterWorks Enable. The product features a flexible data modeling architecture that powers a content repository with data attributes for managing complex product relationships and real-time phased pricing management. In addition, EnterWorks tailors data domains to specific business models and master/reference data preferences. The company was founded in 2006. Hewlett Packard Enterprise (HPE) is the enterprise software arm of the computer hardware giant HP. The vendor offers a cloud-based database management solution on Amazon Web Services, Microsoft Azure, or via an individually licensed model. Vertica provides an MPP SQL analytical database with linear scaling native high availability that allows organizations to query data in near real-time. The Hortonworks Data Platform is a secure and open source Apache Hadoop distribution based on a centralized architecture (YARN). Hortonworks provides users the ability to run the platform in the data center as well as on the public cloud of choice. The tool includes a range of processing engines that enable users to interact with data in multiple ways, and applications for big data analytics can interact with data from batch to interactive SQL or low latency access with NoSQL. IBM’s Db2 Hybrid Data Management offers organizations the choice to select any type of database, data warehouse or open source software. The solution collects, manages and provides insight to data across on-prem, private and public cloud, or integrated across structured and unstructured data types. IBM provides embedded machine learning and data science so users can run analytics on data in its native environment, and the common SQL engine with build-in data virtualization enables scalable data management. Informatica is recognized as a prominent vendor in the data management software market. The Redwood City-based solution provider’s big data management platform allows organizations to access, integrate, clean, master, govern, and secure big data. The tool features purpose-built connectors to hundreds of data sources, real-time streaming, and mass ingestion. Informatica’s visual developer interface also ensures that the best open source platforms can be adopted without sacrificing usability. Public cloud support for Big Data Management is available on AWS and Microsoft Azure. The MapR Converged Data Platform integrates Hadoop, Spark, and Apache Drill with real-time database capabilities, global event streaming, and storage. The product also provides support for dozens of open-source projects and uses industry-standard APIs. Converged Data Platform comes in two edition based on included modules, capabilities, support features and commercial add-ons. MapR has raised $280 million in venture capital since its founding in 2009. MarkLogic offers an operational and transactional enterprise NoSQL database that is designed to integrate, store, manage, and search for data. Organizations can ingest structured and unstructured data with a flexible data model that adapts to changing data. It also natively stores JSON, XML, text, and geospatial data. MarkLogic’s Universal Index enables users to search across all data, and APIs enable application development and deployment. The database has ACID transactions, scalability and elasticity, and certified security as well. MemSQL is headquartered in San Francisco and offers a real-time data warehouse that ingests data continuously to perform analytics. The tool can ingest and transform millions of events per day while also analyzing billions of rows of data using standard SQL. MemSQL can be deployed on-prem, in the cloud via Amazon Web Services or Microsoft Azure, or as a service including drop-in compatibility with existing middleware, integration, and BI software. MemSQL is available in two editions: Developer (not for product deployments) and Enterprise. Microsoft’s database management solution provides easy installation, configuration, integration, and deployment. Microsoft helps by installing and configuring the APS appliance, offering users an ecosystem of partners, including Mariner, who helps with planning, deployment and support. Using PolyBase, it now supports the ability to query data using SQL across the traditional data warehouse, plus data stored in the Hadoop region, whether in the appliance or a separate Hadoop Cluster. Oracle’s suite of data management capabilities allows users to manage both traditional and new data sets on its cloud platform. The company also offers an autonomous data warehouse cloud with more than 2,000 SaaS applications. The platform runs the gamut of big data functionality, with support for data integration and analytics as well. Its other data management offerings include Oracle Big Data Cloud, Oracle Big Data Cloud Service, Oracle Big Data SQL Cloud Service, and Oracle NoSQL Database. Panoply.io automates data management tasks associated with running big data in the cloud. Smart Data Warehouse require no schema, modeling, or configuration. Panoply features an ETL-less integration pipeline that can connect to structured and semi-structured data sources. It also offers columnar storage and automatic data backup to a redundant S3 storage framework. Panoply received an extension on its first round of venture funding in December 2017, which saw it add C5 Capital to its list of backers that already includes Intel Capital, Blumberg Capital, and 500 Startups. Pivotal’s data management product features a popular open-source framework, and all Greenplum contributions are part of the Greenplum Database project and share the same database core, including the MPP architecture, analytic interfaces, and security. The solution offers integration with cloud data repositories and data lakes via external tables that provide access to data stored outside Greenplum as it if it were stored in regular database tables. Pivotal also includes business continuity add-ons like intelligent fault detection, incremental backup and disaster recovery. Relay42 is a fully vendor agnostic, plug-and-play data management platform. It integrates with any channels that organizations have tested and chosen to be the best fit for them. This means that any chosen marketing tech or advertising tech tools – now and in the future- can be optimized, maximizing their performance in conjunction with the broader marketing ecosystem. A major benefit of RiverSand’s Solution suite is its integration. All of its modules have been developed using the same interface, data model, and application framework. This offers organizations a level of cohesion as they implement flexible business processes within the Solution suite. 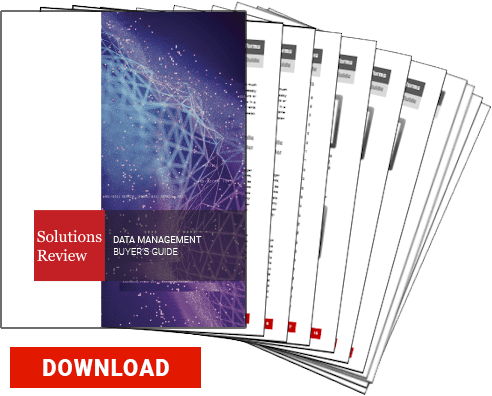 For instance, RiverSand’s data quality, digital asset management, and dynamic publishing functionality are all integrated with its MDM solution to increase productivity throughout a retailer’s catalog production process. Riversand raised its first round of venture capital ($35 million) last summer. SAP SE is a multinational software company. The Company develops business software, including e-business and enterprise management software, consults on organizational usage of its applications software, and provides training services. SAP markets its products and services worldwide. Database solutions allow businesses to create, distribute, and maintain complete, accurate master data with SAP’s master data management software. The SAP HANA platform offers cloud, on-premises and hybrid deployment options to customers, with its benefits including a smaller data footprint, higher throughput, faster analytics and faster access to data. SAS Data Management is especially useful when analyzing large and complex data volumes. However, the solution has a bit of a learning curve and is best saved for users with SAS software and language experience. SAS is built atop a data quality framework, and the built-in business glossary as well as SAS and third-party metadata management and lineage visualization capabilities keep all users in sync. Founded in 1976 and headquartered in Cary, North Carolina, SAS remains one of the major players in the overarching data and analytics marketplace. Semarchy is unique in its breadth of ability to master any kind of data (customer B2B and B2C, product data, reference data, metadata, location, organizer, supplier). The tool is designed on Google’s Material Design Language, and a recent interface update provides an enhanced user experience. xDM intelligently automates the generation of physical tables, the data certification framework, enrichment and standardization process, and integration intelligently. Snowflake has a unique data warehouse as a service offering, and its own SQL data architecture that claims to do more than the alternative. The company raised $110 million in venture funding in 2017. In addition, Snowflake was named to various industry analyst reports in the last twelve months, including Gartner’s Magic Quadrant on Data Management Solutions for Analytics, and the Forbes Cloud 100. Snowflake has made a slew of improvements to its product portfolio recently, including Snowpipe, an automated data loading tool, a cloud data warehouse for the financial services, and a new Sharehouse add-on. Stibo Systems offers the most comprehensive list of data manipulation capabilities of any solution provider in the space. The company also touts advanced features like role-based security, single sign-on, and audit trailing. Stibo recently partnered with Dun & Bradstreet, bringing the company’s entire commercial database into the STEP product. 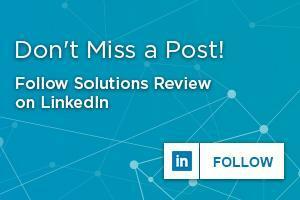 In June 2017, Solutions Review named Stibo Systems a Data Integration for Retail Software Tool to Consider. Talend has beefed up its data management capabilities over the last year, and recently announced the launch of a new metadata management solution that provides organizations easier accessibility to data lakes and other big data projects. Talend Metadata Manager offers a governance framework for creating, controlling, attributing, defining, and managing enterprise data so users can extract and propagate additional value. The company’s data preparation functionality and support for multi-cloud environments are welcomed additions. Talend has also unveiled a new governance and compliance tool to assist organizations in preparing for the General Data Protection Regulation (GDPR). Teradata’s data management portfolio includes products and services in data warehousing, big data analytics, and marketing applications. The company offers what we consider to be the most pure database and data warehousing capabilities of any provider in the space. Teradata covers nearly every enterprise use case, and its ability to integrate with Hadoop and other data sources make it increasingly flexible. Among a slew of awards and inclusion in many analyst reports, Teradata was named a top provider in CRN’s recent Big Data 100. The Zaloni Data Management Platform automates data ingestion, organization, and preparation for data lakes. The solution provides user access to manage processes for governance and compliance, track data lineage, automate workflow to monitor data quality, and enforce data privacy and role-based security. Zaloni was named to multiple analyst reports in recent months, including CRN’s Big Data 100, the Constellation ShortList for Data Lake Management, and Red Herring’s Top 100 North America. Solutions Review also included the vendor amongst its Data Lake Tools Vendors to Watch last March.